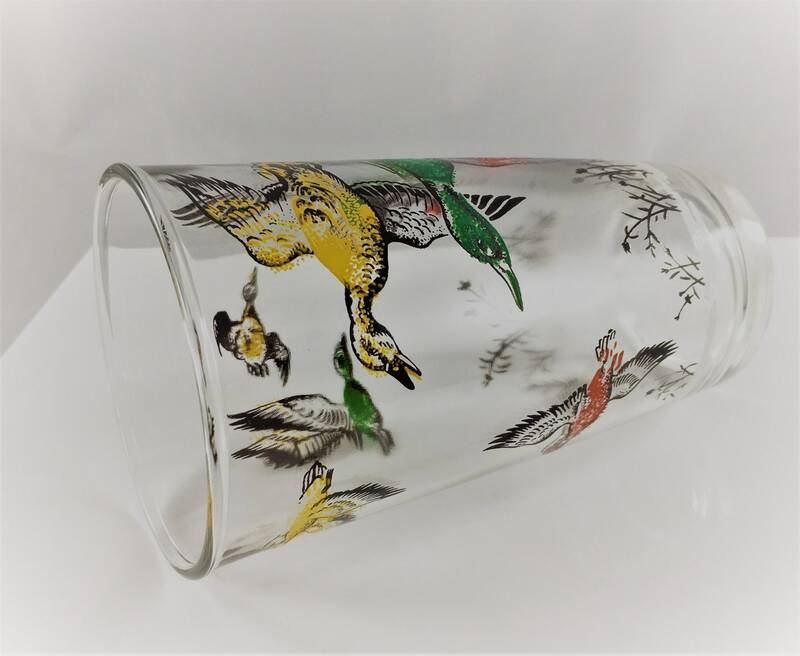 Featured is a very cool set of 4 vintage Federal Glass glass tumblers. 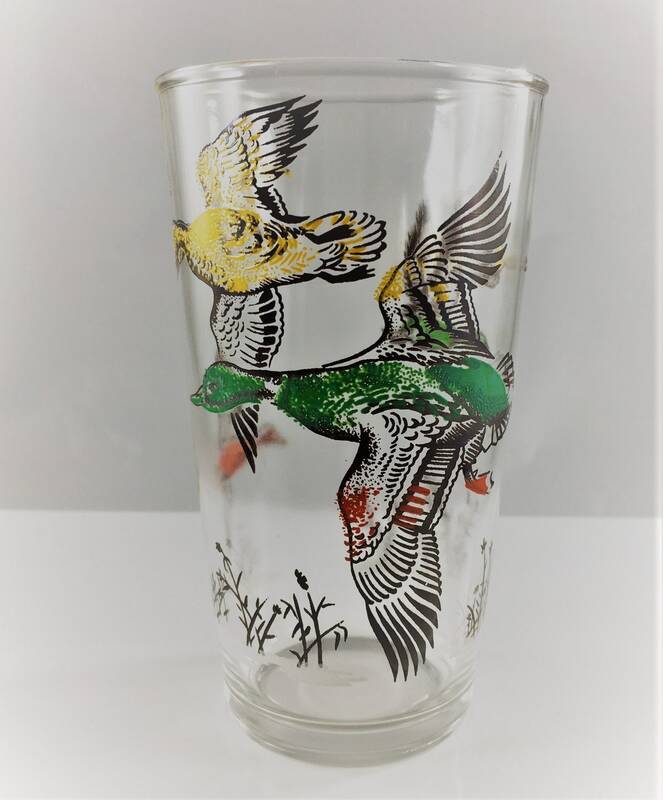 These 12 ounce glasses depict colorful ducks in flight and were produced in 1954. 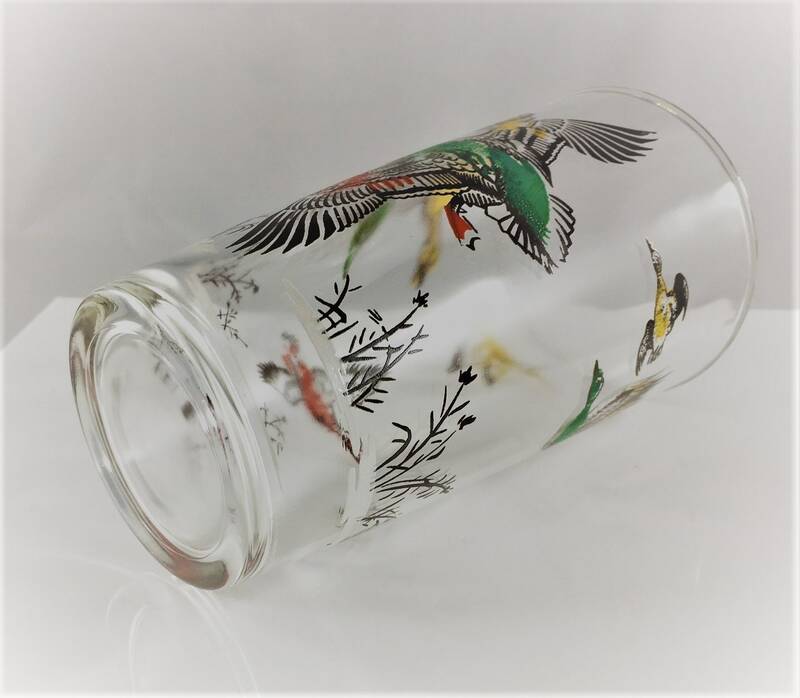 This motif is popular among sportsmen and collectors alike. 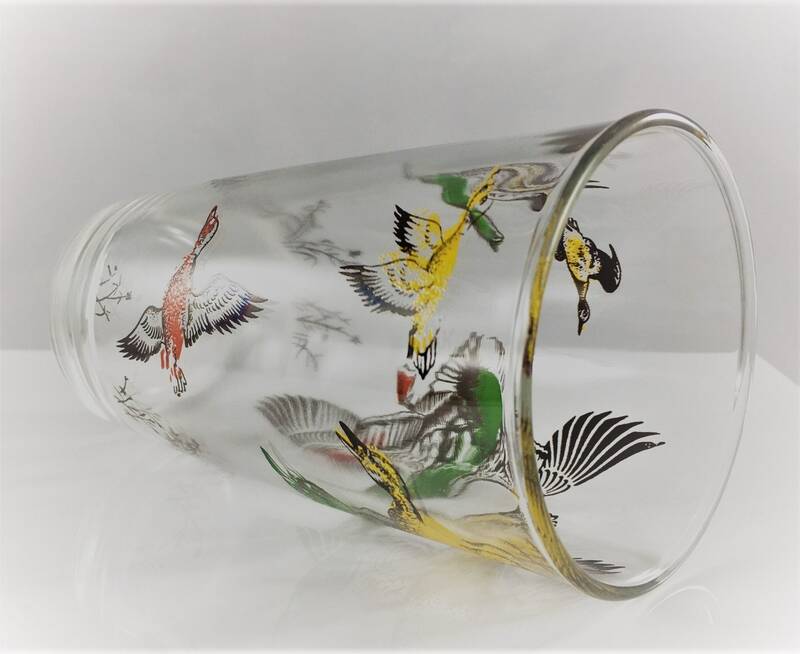 Glasses stand about 5 inches tall and are 2 3/4 inches in diameter at the rim. Excellent vintage condition, free from any chips or cracks. 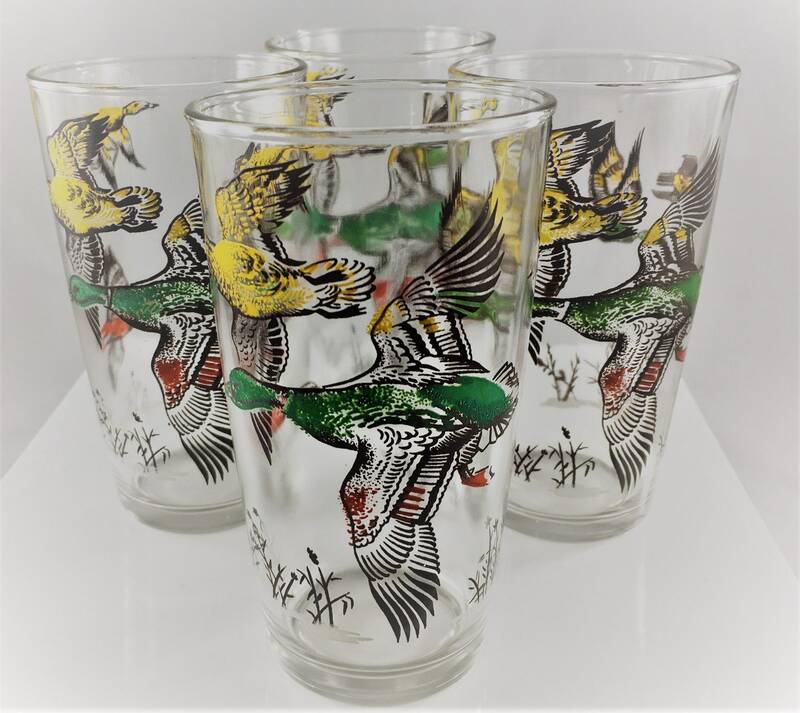 All four tumblers for one low price.